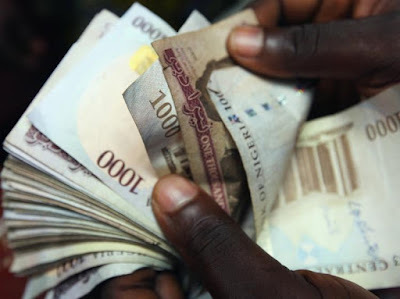 The Nigerian Naira was basically flat on the forward markets, despite the Dollar depreciating on expectations that the Federal Reserve will be adopting a dovish stance this week. Investors with an interest in the Naira will be closely monitoring the FOMC meeting this week, which has the potential to impact the emerging market currency. Buying sentiment towards the Naira is likely to jump if the Federal Reserve adopts a dovish stance towards rates and expresses concerns over the US economy. The Naira also remains influenced by Oil prices, as a fair chunk of Nigeria’s export revenues come from Oil sales. Although rising Oil prices will be a welcome development for the Naira in the near-term, the currency’s outlook remains impacted by domestic conditions at home and geopolitical risk factors across the globe. The next major event risk for the Nigerian economy will be in Central Bank of Nigeria’s interest rate decision next Tuesday. Will the CBN drop hints of a possible rate cut some time in the future? This is a question on the minds of investors. The British Pound fell yesterday afternoon after the House of Commons Speaker John Bercow essentially banned Theresa May’s Brexit deal from getting a third vote. Although prices later recovered, this once again highlights the tremendously fluid Brexit equation that markets have to contend with. Now, all eyes turn to the summit in Brussels on Thursday, where EU leaders will have their say on an extension to Brexit. It’s key to note that the extension has to be unanimously agreed upon by all 27 member nations before a no-deal Brexit can be safely removed from the table; should just one of the EU members reject reasons for the deadline extension, the Pound will most likely find itself exposed to significant downside risks. With the prolonged moving nature and fluidity of the Brexit situation weighing heavily on sentiment, Sterling remains at risk of unwinding its year-to-date gains. Still, the base case that markets are pricing in is one of a delayed Brexit, which may only happen in 2020. However, as we have learned in recent weeks more time may not wholly be a good thing, as it could also bring about extended periods of uncertainty and potentially more permutations to the final Brexit outcome. Barring any more surprises, expect the Pound to trade range-bound this week. WTI Crude found comfort near its highest levels so far this year, after OPEC+ assured markets that its members will stick to the output cuts through the first half of 2019. Saudi Energy Minister Khalid Al-Falih says there remains a “significant glut” in global supplies which still needs to be drawn down before considering scaling back on production cuts, a move that’s supportive of Oil prices. OPEC+ producers need to demonstrate unified efforts in their attempts to rebalance the Oil markets and to have any chance of offsetting record US Shale production. FOLKS, LET US CONGRATULATE THIS GREAT COUPLE.